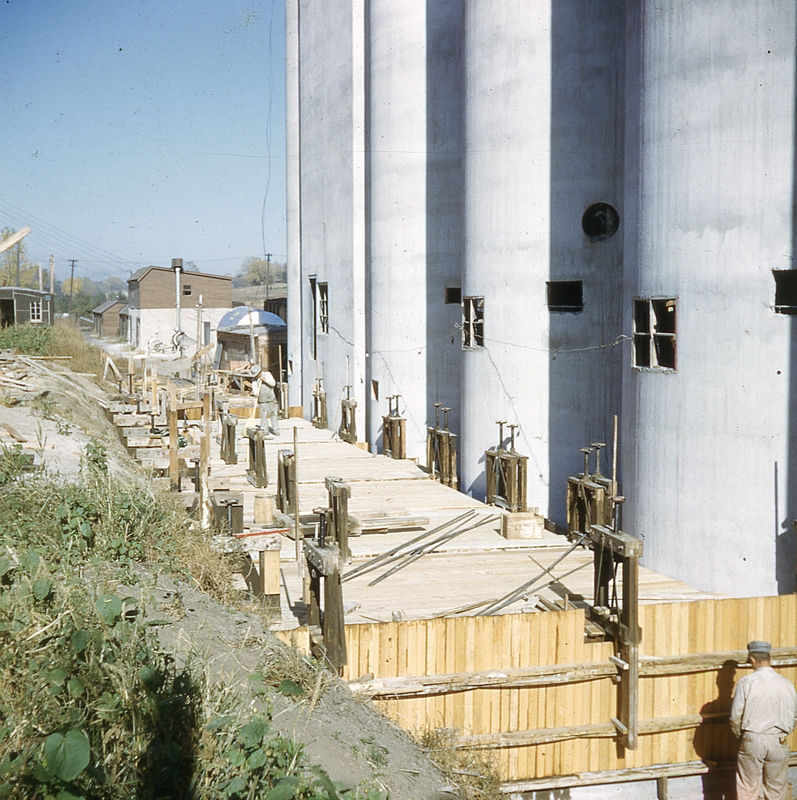 The Vinton Street elevator‘s driveway required the building of plenty of formwork before concrete could be poured. Here we see two men making final preparations. One is sweeping the deck, while the worker at the lower right is perhaps using a tool. 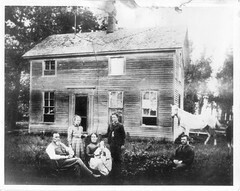 The unknown photographer’s shadow intrudes into the lower left part of the frame. Records show that 17 cubic yards of concrete were allotted for the driveway and the elevator’s work floor. The amount of reinforcing steel was not recorded. A truck shed was then built. Although we lack a photo of it after completion, the record does show that Johnson Overhead Doors were to be installed, one at each end of the shed. And of course a scale was part of the package. This entry was posted in Employees, Photography, Tillotson Construction Company and tagged architecture, Business, construction, Driveway, Formwork, grain elevator, slip-formed concrete, Tillotson Construction.